Receive 25-50% More Business Cheques FREE On Every Order! 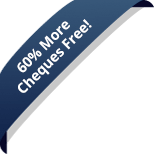 Get 50% MORE cheques* when you order Manual Business Cheques. Offering a complete range of quality Manual Cheques. Get 25% MORE cheques* when you order Laser Business Cheques. Our Laser Cheques have the highest security features in Canada. Get 60% MORE cheques* when you order Personal Cheques. Pay less compared to what your bank charges. Customized colours and sizes available. 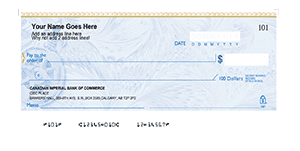 Not Sure Which Business Cheque Type Is Right For You? I am satisfied with the efficient and fast service that I received. The price was very competitive; I searched on the Internet for a rival well-known company for cheques and found this company which was far cheaper. Thank you so much for the fast prompt delivery on my cheques, the cheques look perfect and I love your friendly and courteous way of doing business. From Manual Business Cheques, Computer Cheques to Blank Custom Cheques we do it all and for less. 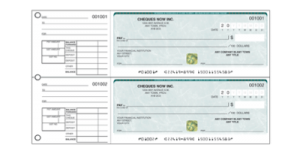 As an actual cheque manufacturer and not a distributor we have greater control over the quality and features we offer. 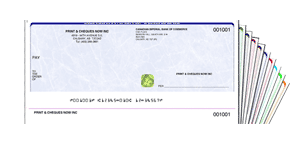 From picking the hologram gold foil to adding the heat sensitive thermochromic ink on our cheque stock the decision is ours and we ensure our business cheque clients have access to the highest security business cheques available anywhere in Canada. As direct competitors to the countries two largest cheques suppliers we have to ensure our clients have a valid reason to want to switch from their normal cheque supplier to us. If you are trying to reduce costs without reducing quality we are your answer. Below is a straight forward breakdown on what we offer to ensure you receive reduced cheque costs and high security.